At Identifix, we are committed to providing you with accurate and complete vehicle diagnostic information, delivered in a professional and friendly manner. Our guarantee is simple: If you are not satisfied with the service you receive, you may request a full credit to your account for that repair order. In addition, if our records indicate that we recommended a part based on information you provided, we will refund the cost of that part if it does not fix the vehicle. You must notify Identifix within 90 days from your initial Repair Hotline call so that we can research your claim (if necessary) and apply a credit to your account. 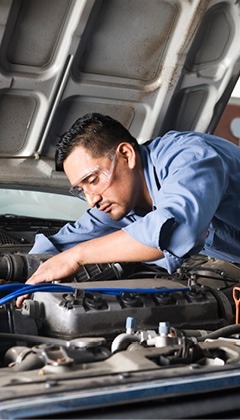 Vehicle must be repairable to qualify for the Service Guarantee. The Service Guarantee is not valid for modified, recovered, flooded, chopped or damaged vehicles. To qualify for a refund on a part, you must provide the new part and original sales receipt. If you have any questions about our Repair Hotline procedures, Service Guarantee or your account, please call us at 1-800-288-6210.